Two common aspects of a Rajnikanth movie, atleast since became a leading man, are not seen in Pudhu Kavidhai. The most surprising of these is that he does not get his girl. He is a minute too late and has to watch another man wed her. The second is that there is no climactic fight where he fends of the villains. A long ride on a motorcycle is the only feature of the low-key climax. Infact, Pudhu Kavidhai is less like a Rajnikanth movie and more like a generic love story featuring heroes more known for their romantic roles. Anand(Rajnikanth) is the unbeaten motorcycle champion six years in a row. Winning the championship brings him into contact with Uma(Jyothi), the daughter of Thilakavathy(Sukumari), a haughty, rich woman. Uma hates him for his dark complexion but this naturally soon turns into love(a forcible kiss is all it takes!). But Thilakavathy has more aces up her sleeve. She deceives Anand and Uma into thinking that she agrees to their wedding while secretly planning to get Uma married off to a boy of her choice. She gets Anand locked up on the day of the wedding. Anand escapes but is unable to stop the wedding. The next time they meet, Uma sees Anand happily married to Kalyani(Sarita) and with a child while she informs him that she too is happily married with two children. The movie starts off just like any other poorly handled Rajnikanth movie. A rather long motorcycle race that tries but fails to be exciting, a sparkless love story that starts off with a quarrel before turning romantic and a confrontation with the haughty, landlady(a la Maappillai) all give a sense of 'been there, seen that'. The romance between Rajni and Jyothi is weak with no inkling of chemistry between them. Her ploy of dismantling her car battery to get him to offer her a ride raises a few smiles. Things start to get better once Sukumari's plan gets into action. There is genuine suspense as Rajni's plans for marrying Jyothi and Sukumari's alternative plan for Jyothi marrying a boy of her choice, proceed in parallel. The resolution of this is an even bigger surprise as Sukumari wins this battle by getting Jyothi married as per her wishes while Rajni has to be a silent onlooker unable to do anything about it. At this point there is some real suspense about how the rest of the movie is going to unfold. But the movie again sinks into predictability after a little while. Poor handling of the sequences makes the truth apparent and so happenings on screen seem forced and an unnecessary postponement of the inevitable. The only suspense is how the truth is going to be revealed to the players. And there are not many thrills or surprises in this either. In fact, the sequence of events in the second half forget to address many of the issues from the first half. For instance, there is no mention of Rajni's brother 'Thengai' Srinivasan at all. 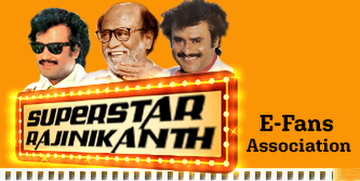 Rajni fans must have been disappointed to see their hero in such an anti-trademark role. He never fits into the purely romantic mode needed for the hero in such a movie but the movie doesn't offer him much oppurtunity for comedy or action either. Jyothi lacks both glamour and acting skills and naturally, was lost after this movie. Sukumari makes a mark as the hard-hearted mother. Ilaiyaraja does his turn with the melodious Vellai Puraa Ondru... and Vaa Vaa Vasanthame.... For the nostalgically-inclined, the latter was a staple of Doordarshan for the 'Oliyum Oliyum' that occurred close to Diwali!